The leaders of Colombia’s last-standing guerrilla group, the ELN, will remain in Cuba until Colombia’s President Ivan Duque agrees to resume peace talks, according to the rebels’ chief negotiator. In a video that was released on Friday, “Pablo Beltran” said that while ELN guerrillas continue fighting in Colombia, he and his fellow-negotiators will remain in Cuba. Following a terrorist attack that killed 22 in the capital Bogota in January, Colombia’s President Ivan Duque has refused to either continue talks or allow the rebel leaders to reunite with their troops. Foreign Minister Carlos Holmes Trujillo wants Cuba to extradite the peace negotiators, but this has been rejected by the island state and other countries that have acted as guarantor countries for peace negotiations. Beltran reiterated his group’s call to resume negotiations, agree to a bilateral ceasefire and ultimately come to a peace agreement as agreed with former President and Nobel Peace Prize laureate Juan Manuel Santos. “We are not interested in escalating the war, which is why we are asking President Ivan Duque to appoint his delegates and resume the dialogues, as well as agreeing to a bilateral cessation of hostilities,” Beltran said in the video that was sent to the NGO “Vivamos Humanos” of former President Ernesto Samper (Liberal Party). 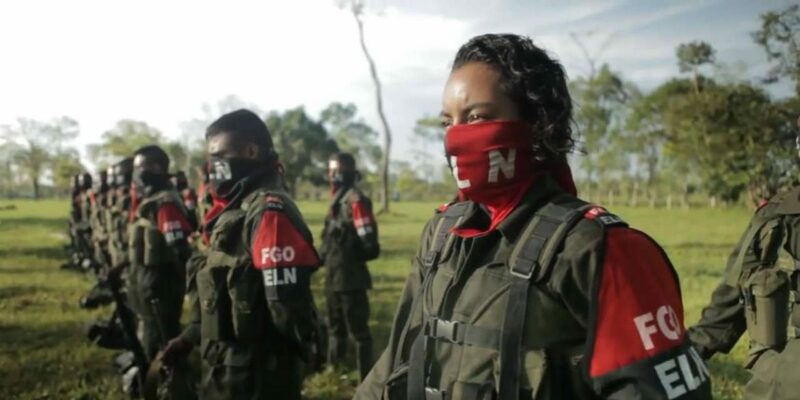 The ELN may say it does not want to increase hostilities, but it has expanded territories under its control, taking advantage of the government’s failure to assume territorial control over the countryside during a peace process with the FARC that began in 2016. This is confirmed by the Defense Ministry, which registered a 22% increase in terrorist activity between 2017 and 2018, an 86% increase in attacks on oil and road infrastructure and a 16% increase in killed members of the security forces. “We cannot underestimate the ELN because it is expanding, in Vivamos Humanos we have information that out of 280 municipalities that used to have a FARC presence, the ELN is already in 68, and that is very dangerous for the civilian population,” said Samper. The former president called on Duque to “make a final effort” to resume talks and end the conflict between the state and the guerrillas that is entering its 55th year this year. Duque has expressed no interest in talking to the ELN ever since he took office last year and removed the group’s status as an insurgent force, and is now considering it an organized crime organization. The majority of the Colombian population, however, wants the government to resolve the conflict through negotiations, according to multiple polls.